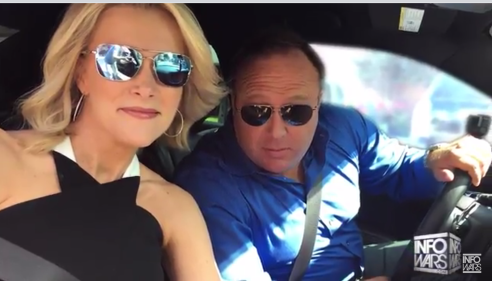 JPMorganChase has asked for its local TV ads and digital ads to be removed from Meygn Kelly’s show and from all NBC news programming until after a Kelly show airs that features Alex Jones, reports The Wall Street Journal. The company doesn’t want any of its ads to appear adjacent to any promotions for the interview, according to the paper. Clearly, JP Morgan fears an uprising from the left. Sleeping Giants, the anonymous Twitter account known for shaming marketers into pulling their ads from sites like Breitbart News, criticized the NBC interview as a “naked grab for ratings,” reports the Journal. But I have also seen attacks from the Right against advertisers who sponsor various programs that take a leftist slant. All that this is doing is dumbing down television and radio even further, since advertisers will take particular care to avoid shows that might cover controversial issues, Thus, resulting in television and radio doing less in the way of controversial topics. Advertisers should be hailed for sponsoring programs that cover controversial subjects. How else are we going to learn about them and what others are thinking? It is absurd to think that a sponsor necessarily holds the view of a subject on a program. Boycotting advertisers who sponsor controversial shows is simply preventing certain views from getting coverage. It is a tactic of those both on the right and the left who are seeking power rather than intellectual debate. We need views to be out in the open so they can be debated---and we need advertisers who do not fear sponsoring such shows, but it is becoming more difficult for advertisers with all these boycott artists. Oh the sanctity of intellectual debate. Puhleeze. Boycotts had nothing to do with the Morgue pulling its ads. Nor did any fear of a "leftist uprising." All that is going on here is that the Morgue doesn't want their property (ad dollars) being used to disseminate or promote people or views that they disagree with or plain dislike. Kinda like some libertarian economics blogger I know of. Muh property!